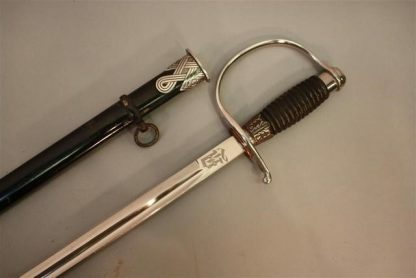 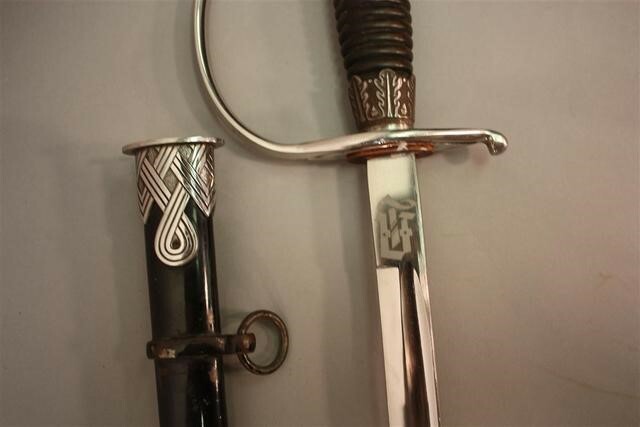 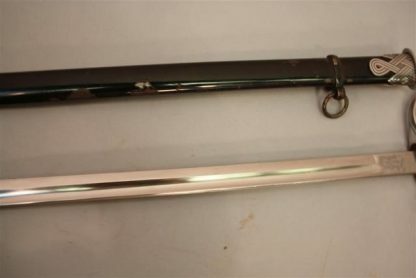 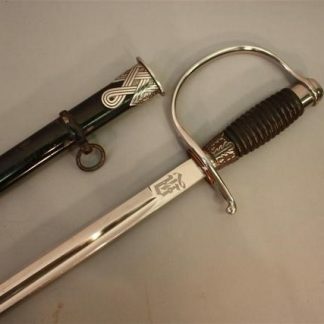 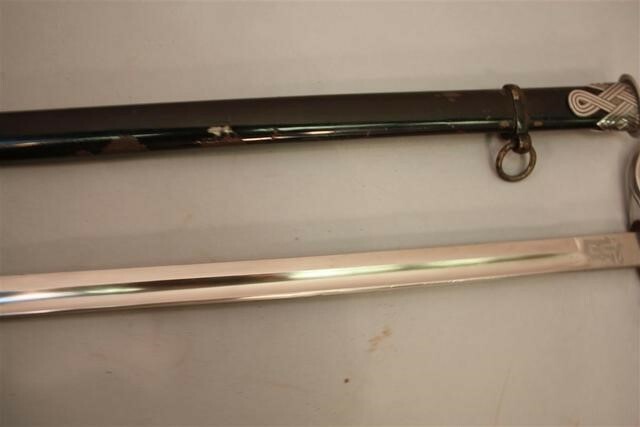 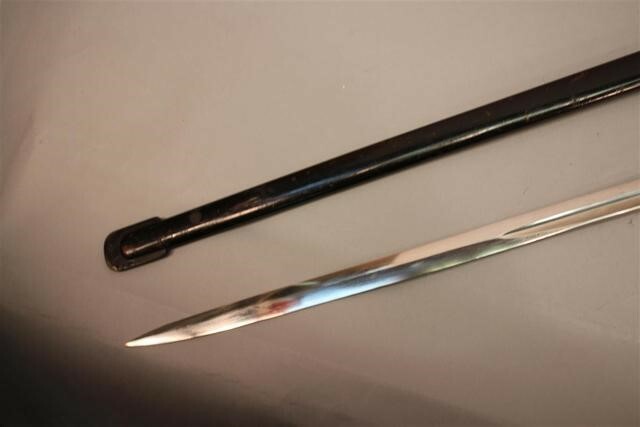 SS NCO Candidate Sword – Military Collectibles, Inc. 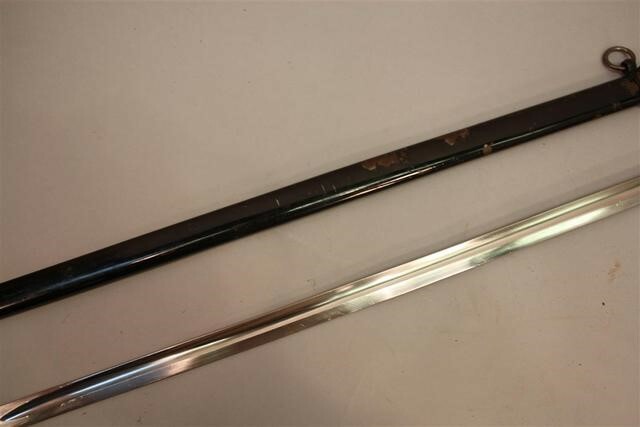 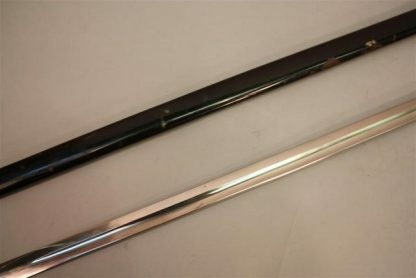 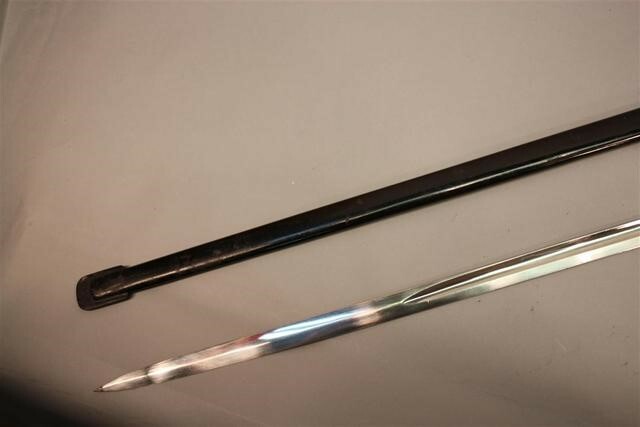 This extremely rare sword has an unmarked blade. 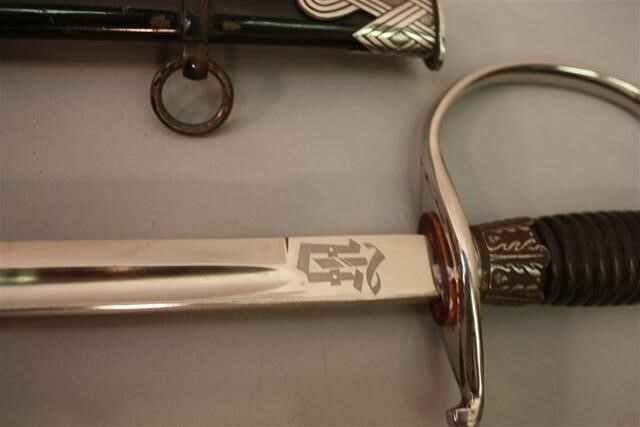 It has beautiful intertwined initials on the ricasso. 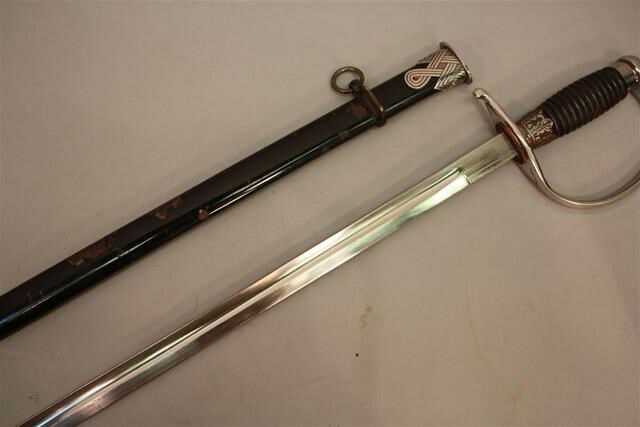 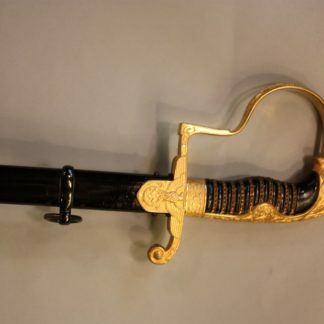 An example of this sword is in the Wittmann book on SS. 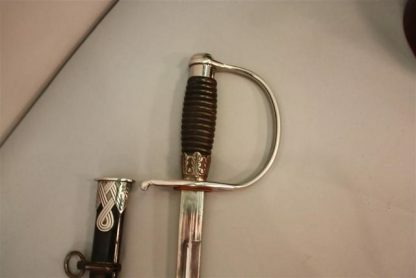 It comes complete with its original washer. There are no proofs. 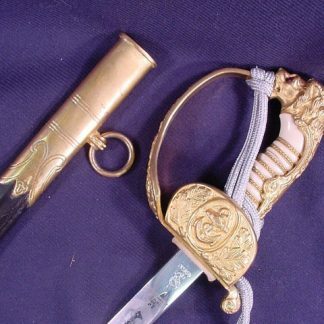 It has the plain pommel cap as he was not yet an SS NCO. Very similar to the SS Candidate Officer. 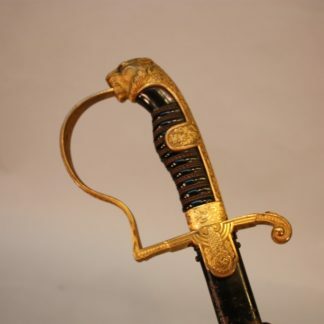 Excellent paint on the grip. 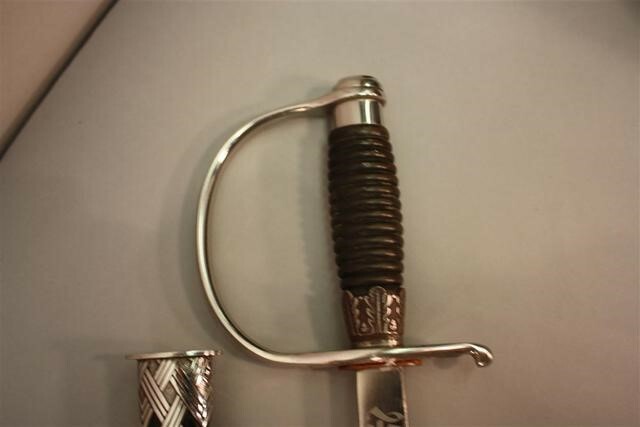 Scabbard shows some wear on the reverse. 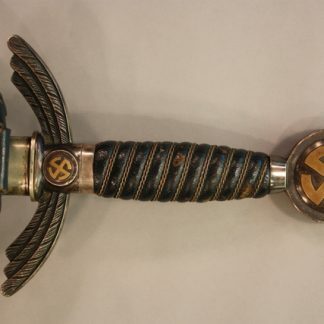 Ultra rare piece.